78 years, 2 months, 11 days old age. Beni Prasad Verma will turn 79 on 11 February, 2020. Only 9 months, 19 days, 9 hours, 24 minutes has left for his next birthday. Beni Prasad Verma has celebrated the total number of 78 birthdays till date. See the analysis by days count and bar graph. 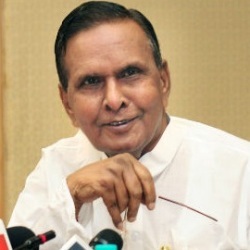 Beni Prasad Verma was born on 11-02-1941 in Sirauli, Barabanki in the state of Uttar Pradesh, India. He is an Indian Politician who presently belongs to the Indian National Congress (INC). He was born to Mohan Lal Verma & Ramkali Verma. He is married to Malti Devi on 20-05-1956 and together the couple has three sons and two daughters.